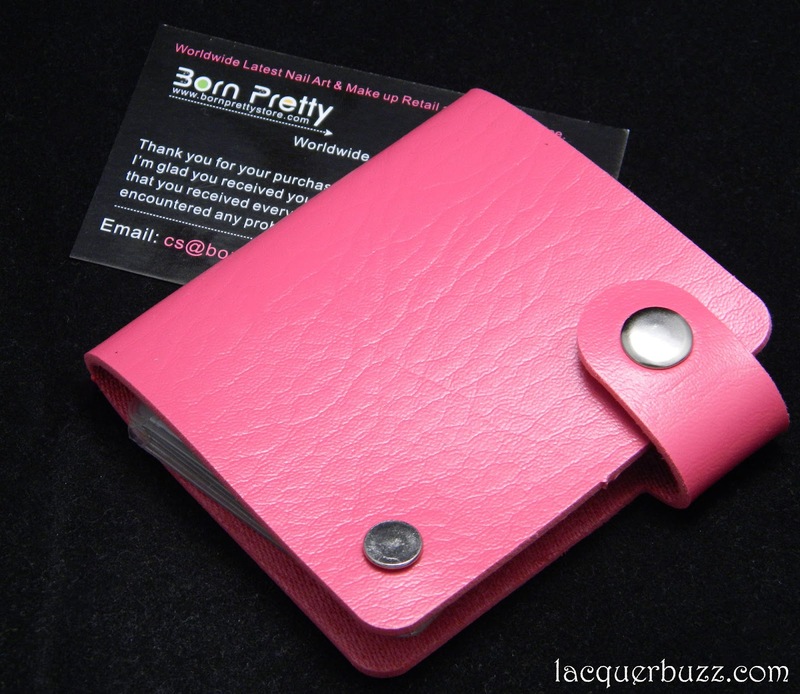 As you can see, the organizer comes in a very girly pink color. 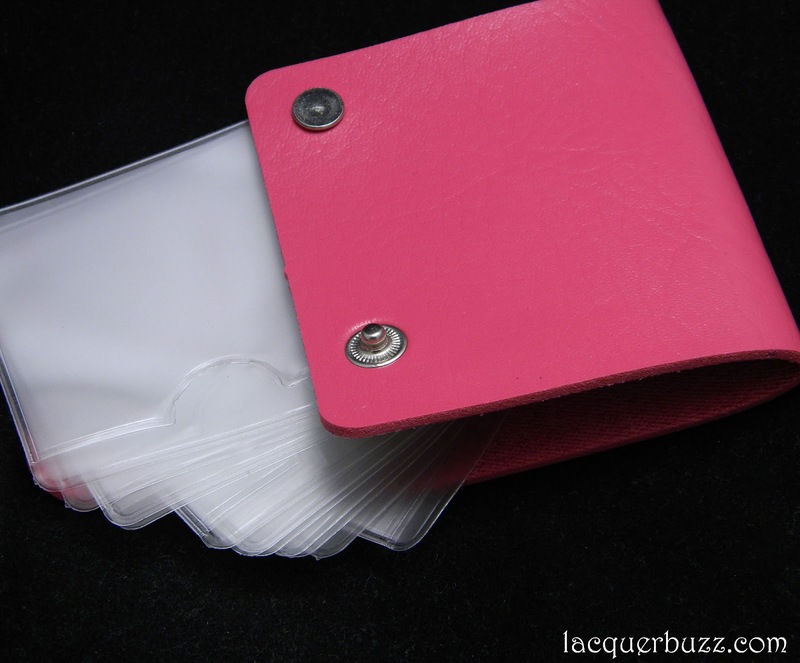 The PVC case houses 12 plastic sleeves that can each hold 2 plates, leading to a total of 24 plates. The little plastic sleeves slide out making it easy to display your plates. The sleeves can fit regular sized plates perfectly. The round ones go in easily and the hexagonal QA ones fit too, even if they are a bit harder to slide in. In the photo below you can see how the plates fit and how they can be displayed in the organizer. It makes it easy to see the images on each plate without taking it out. I also love that the thick PVC case protects the plates in case you wanna travel with them. I am very pleased with the quality of this stamping plate holder. I will need a few of these to house my huge plate collection. But in the meantime I can use this one for carrying the plates I need to take with me. If you plan to purchase this organizer or any other nail art goodies from the Born Pretty Store make sure you use code MFL91 to get an extra 10% off your order. This looks great! 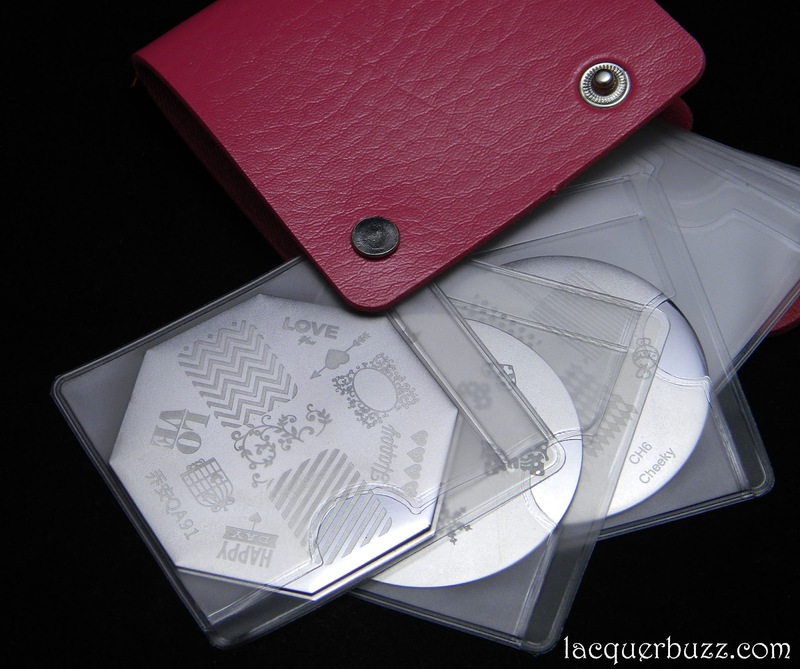 I'm looking for a way to organize my stamping plates too so I can see them better and use them more often. Might have to get myself one. I have one and i just love it , I will be ordering me other one soon ! Love this plate holder! Wish they had one larger to hold the Pueen Encore set (10cm x 10cm)! I seriously need these. My plates are getting out of control, just floating around in drawers! You should really get one if you don't have too many plates in your collection. It's affordable and handy. It's great, isn't it? My only issue is that I would need multiple ones to fit my whole collection. It's the same with the second Cheeky set. It has larger plates and they don't fit in any of the stamping plate organizers on the market. I know what you mean! It's really hard to organize them. :)) eu cred ca am nevoie de vreo 4 si nici alea nu mi-ar ajunge. Plus ca am unele placute care nu incap.